Chicago police arrested a suspect accused of stealing a van and crashing into a couple of vehicles in the Lincoln Park neighborhood. 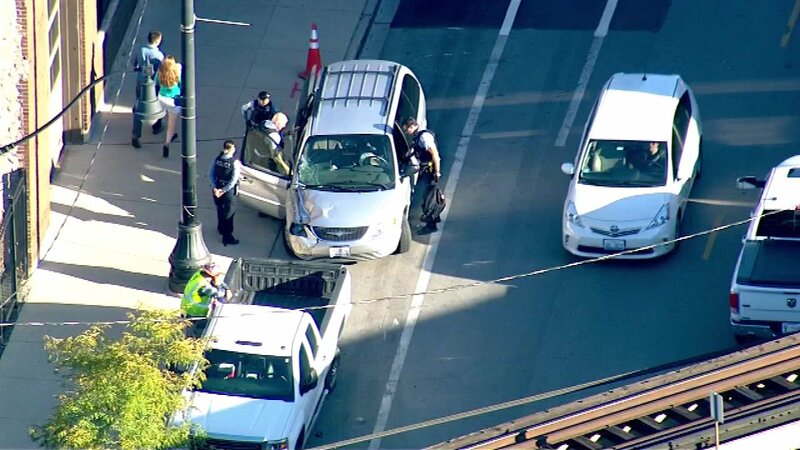 CHICAGO (WLS) -- Chicago police have arrested a suspect they say stole a van and crashed into a couple of vehicles in the Lincoln Park neighborhood. Police said the suspect crashed Wednesday afternoon near the intersection of Armitage and Halsted and ran from the vehicle. The suspect was arrested after a short chase on foot in the 2500-block of North Lincoln Avenue. No additional details have been released.